TRUE A6.0 HT Grip Composite Hockey Stick 2018 - Senior is rated 3.0 out of 5 by 3. The all new TRUE A6.0 HT hockey stick is a new take on the popular A-Series. For the first time from TRUE, there is a specific low kick-point hockey stick for players seeking highly responsive, quick release wrist and snapshots. HT stands for Hair Trigger and that’s how quick you will feel this release on your shots. For those looking for the most out of their shot, you will find it with the TRUE A6.0 HT hockey stick. Along with these new features, you will also find all the performance elements from previous A-Series sticks and some improvements on them. The strength in the SBP continues with the HT with a lighter and durable BRT+ blade that allows the weight to be distributed into the shaft for a 20 percent greater shaft impact strength over the previous model. You will still find ultimate balance on the A6.0 due to industry leading one-piece axenic construction, combined with a low swing weight for optimized energy loading producing explosive power from any shooting position. Rated 1 out of 5 by NotTrueHockey from Very poor quality.. Don't waste you money. I am a verified purchase. Bought first stick about 45 days ago, 1st stick broke within 10 days, replacement broke in another 13 days. After two replacements when sticks broke when taking normal shots.. True hockey would not stand by their product. I watch Toronto play and I can not believe how many times Marner breaks his stick. He is endorsed by this brand too. Rated 5 out of 5 by Zamp from Finally a low kick point stick from True! This stick exceeds my expectations. Great feel and the snap shot hasn’t felt better. It would be nice if it was a little cheaper. Rated 3 out of 5 by MattG88 from Great stick, poor durability. I typically only play in one or two games a week and I have had this stick for a few months now and it shows more wear than my Sherwood. It is a top end stick that I expected more from in terms of durability. The stick feels great in your hands and performs well, but for the price it shouldn't be as easy to take chunks out of it as it has been for me. Will there be an intermediate version available? 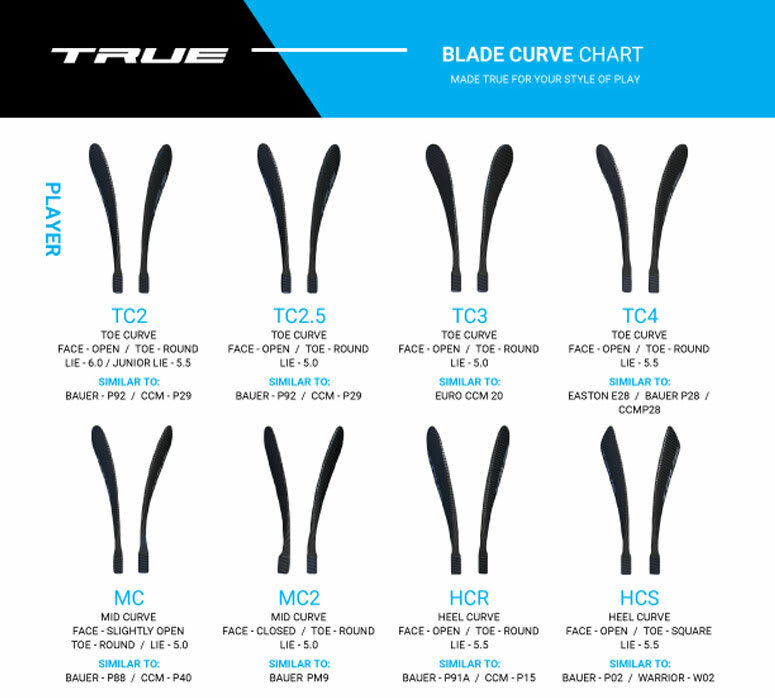 As of right now we have not received any indication from True in regards to a Intermediate version of the TRUE A6.0 HT COMPOSITE HOCKEY STICK 2018 . If it becomes available it most likely will be available with our company .